Our Tot Beginner Program is specifically designed for pre-school and kindergarten aged children. Your child will develop better balance, strength and coordination. 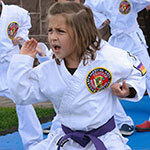 Our Junior Beginner Program is designed specifically for elementary school aged children. By attending classes, your child will develop better balance, strength and coordination. 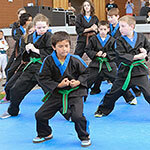 Physical fitness and self-defense capability are the focus of the program. 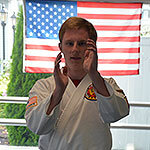 Hand strikes, kicking skills, throwing and grappling techniques will develop you into a well-rounded martial artist. 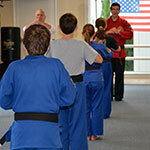 We offer advanced training programs for both juniors and adults. Students further enhance their skills and deepen their knowledge when they combine personal lessons with group class.